Born: 20 October 1878, Edinburgh, United Kingdom. Died: 14 July 1939, Cape Town, South Africa. William Adam Tasker Jolly was educated at George Watson's College, Edinburgh, and continued his studies at the University of Edinburgh, where he studied in the medical sciences. During 1903 he was a research student in pharmacology, and from 1904 to 1907 a research assistant to the professor of physiology, Sir Edward Sharpey Schaefer. He was awarded the degrees Bachelor of Medicine (MB) and Bachelor in Surgery (ChB) with first class honours in 1906. In 1908 he was appointed as lecturer in experimental physiology at Edinburgh, but spent the year 1909 as a Carnegie research fellow with Professor Einthoven at the University of Leiden. He was awarded the degree Doctor of Science (DSc) in medicine by the University of Edinburgh in 1911. In August 1911 Jolly accepted an appointment as the first professor of physiology at the South African College, Cape Town. His talent for organisation was largely responsible for expanding the training in medical subjects at the College. In 1918, when the University of Cape Town was founded as the successor to the college, he was appointed Dean of the Faculty of Medicine, a position he held until 1931, and played a prominent part in the development of the university's Medical School (the first in South Africa). Clinical training commenced in 1920 and the first two medical students graduated in 1922. While still in Edinburgh and Leiden Jolly had shown an aptitude for research and published a number of papers on the electrical response of the eye to light, the physiology of mammalian reproduction, and the functions of the thyroid and parathyroid glands. He retained his interest in research throughout his career, remaining active until his death, and made several important contributions to knowledge of electro-physiology. He was particularly interested in electrical changes in the heart, introduced the electrocardiograph into South Africa, and became an expert in its use. His other contributions included further publications on the electrical exchanges accompanying retinal activity in the amphibian eye (1931, 1936). 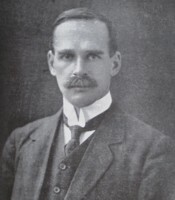 Some of his early papers were published in the Transactions of the Royal Society of South Africa, for example: "Positive electrical variation in isolated nerve" (1913, Vol. 3, pp. 23-32); "On the interpretation of the electrocardiogram" (1915, Vol. 4, pp. 279-298); "The electro-motive changes accompanying activity in the mammalian ureter" (1917, Vol. 6, pp. 227-230); and "The action current accompanying reflex activity of muscle in the South African clawed frog" (1924, Vol. 11, pp. 221-235). Jolly was a versatile researcher and was recognised internationally as an eminent physiologist. He served on the editorial boards of both the Journal of Physiology and the Quarterly Journal of Experimental Physiology. In 1926 the University of Edinburgh conferred upon him an honorary Doctor of Laws (LLD) degree in recognition of his contributions to electrocardiography and his role in the development of the medical school at the University of Cape Town. Upon his retirement in 1938 the South African Journal of Medical Sciences dedicated a special supplement to him, containing papers contributed by his assistants and former students. Jolly was elected a Fellow of the Royal Society of South Africa in 1912. He served as honorary general secretary of the society from 1914 to 1927, and as president from 1928 to 1932. In 1913 he became a member of the British Medical Association and from the next year served on the council of its Cape of Good Hope Branch. Upon his election as president of the branch in 1917 he delivered a presidential address titled "The medical profession and the university", which was published in the Medical Journal of South Africa of March 1917. In 1915 he became a member of the South African Association for the Advancement of Science. At the joint meeting of the British and South African Associations for the Advancement of Science, held in South Africa in 1929, he served as joint vice-president for Section I of the British Association (which included physiology) and read a paper on "Lymph hearts in toads". He was appointed as a member of the Research Grant Board and (from 1938) of its successor, the National Research Council and Board. From 1925 to his death in 1939 he served as a trustee of the South African Museum, representing the Royal Society of South Africa. Jolly was a modest, gentle and courteous man who was well-liked by his students, though he has been described as an uninspiring lecturer (Phillips, 1993, p. 86-87). He read widely, had a good memory, and did some archaeological work in his spare time. In 1917 he married Aimee Murray, with whom he had two sons. British Association for the Advancement of Science. Report of the ninety-seventh meeting, South Africa, 1929 and Journal. London: British Association, 1930. Google scholar. http://scholar.google.co.za/ Publications by W.A. Jolly. Obituary: William Adam Tasker Jolly. Transactions of the Royal Society of South Africa, 1942, Vol. 29, pp. xlii-xliii. Prefatory note. South African Journal of Medical Sciences, 1939, Supplement to Volume 4. South African Association for the Advancement of Science, Report, 1918, list of members. South African who's who, 1923/4, 1927/8, 1931/2, 1936, 1939. Summers, R.F.H. A history of the South African Museum (p. 228). Cape Town: Balkema, 1975. Transactions of the Royal Society of South Africa, 1913-1924, Vol. 3, 4, 6 and 11: Papers by Jolly; 1925, Vol. 12, pp. xvii-cxlvii: Minutes of Proceedings. William Jolly: Father of medical science in South Africa (abstract only). South African Medical Journal, 3 August 1991, Vol. 80(3), p. 156.